Le has had nearly six years of experience in human resource, with both internal and external recruitment across different industries and cultures. She is currently a consultant in the Navigos Plus team at Navigos Search. Le started her career as an internal recruitment staff before moving to recruitment consultation field. Therefore, she is extremely familiar with all stages of the recruitment process, as well as related human resource operations. 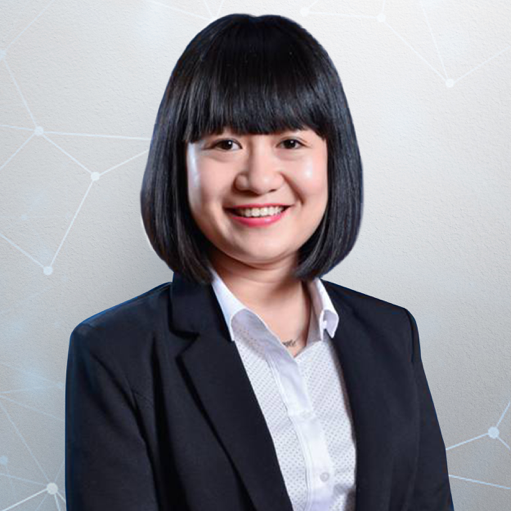 In addition, Le found herself really passionate about connecting companies and individuals at the right time to form up their dream team which helps organizations to catch up with strategic changes and at the same time provides advancing opportunities to candidates’ career. She has successfully placed senior positions such as Project Manager, Business Leader and Marketing Manager for many start-ups as well as major corporations in information technology and trading sectors. With a genuine passion for the recruitment profession, Le is gradually building her personal brand in the executive search market. She provides employers with effective consulting approach while offering job-seekers her wealth of recruitment experience in a way that ensures mutual benefits. •	Strong leadership, diplomatic and motivational skills including the ability to lead up, across •	Excellent project management skills. •	Proven experience in business development for technology field. •	Outstanding organizational and leadership abilities •	Excellent interpersonal and public speaking skills •	Aptitude in decision-making and problem-solving Other Skills •	Advanced English skills. •	Strong interest in and passion for blockchain technology •	Understand interdependencies between technology, operations and business needs •	Experience managing a start-up is a plus.